← Producing the Winning Tender? In May of this year I attended Clerkenwell Design week; the trendy EC1 London borough was buzzing with design professionals across the board. The exhibition celebrated the best in furniture, product and design services that Clerkenwell has to offer. It was a first for this exhibition and I believe a successful one. I was really keen to get my fill of the exhibition, as my trips to London are few and far between these days. So I chose to attend a seminar entitled ‘Who we are’ The Interior Designer. The chair speaker was Iris Dunbar; Director of The Interior Design School and past president of BIDA. The panel consisted of four professionals; two architects , one interior architect and one interior designer. I felt slightly unnerved by the early discussions, as the conversation inevitably lead to ‘Do Interior Designers take work away from Architects’ and vice versa, because it is apparent that architects do like to take control of their projects from concept to completion and interior designers likewise. There is an increasingly evolving cross pollination of the role of the Architect and the Interior Designer; a niche that has created a hybrid, the Interior Architectural Designer. In some instances the architect can do the job of the designer and the designer can do the job of the architect. But it all depends on the individual strengths and more importantly the education of the designer or architect. The war-of-words was mild, but it did feel like a divide of disciplines. The Architect has a clearly defined role and can very much own the project, the designer on the other hand can at times feel like his poor relative, brought into the project as an afterthought ‘to add a bit of colour’. 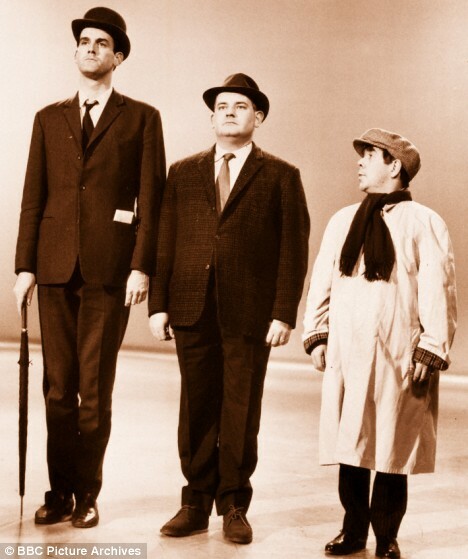 I had visions of the Two Ronnies sketch of the Class System; the architect (upper class), interior designer (middle class), interior decorator (lower class). Let me state I don’t think this is the case but I’m not sure this is the universal opinion within the industry. This is a real sticking point. We are all creative, we are all visionaries and are all offering a different level of design detail from macro to micro . Why do we have to feel like we need to debate the issue? "I look up at him". I found it very hard to hold my tongue, as they seemed to be going round in circles. The most apparent evidence was that each member of the panel felt very strongly about their profession and the work they were involved in. But for the ‘interior designer’ they were stuck somewhere in the middle, they felt they crossed over into the discipline of Architecture but to the outside world they always had to state that they weren’t an Interior Decorator. Perhaps the issues lie with the definition of services that an ‘Interior Designer’ can offer. For example, I am a designer, who does not really offer the residential soft furnishings as this is something that is self taught throughout the years. My education is that of an architectural background, I started out doing an degree in architecture, to then swap to interior design but concentrating on interior architecture, and was taught by architects. I studied for 4 years and covered everything from history of architecture, psychology of design to structure. I do not call myself an interior architect due to the legal implications. I do not have the level of knowledge to design complete buildings but I do call myself an interior architectural designer and work on design teams with architects, I respect their knowledge and know I can complement their scheme and offer my expertise to enhance the function, safety, and aesthetics of interior spaces. What’s wrong with being an Interior Designer to the fullest extent of the definition? I had an educator tell me that they used the “E.A.” term to attract males to the program that didn’t want to be labeled as an Interior Designer. That’s a sad commentary on the image of our profession. Interior Design is more than “Interior Architecture” which to me implies just the structural and architectural components of a space. Interior Design is so much more than that. While many architects are capable of completing a design, it is often the special skills of an Interior Designer that are needed to complete the design with their knowledge of space, detailing and yes, furniture and finishes. It is my experience that Interior Designers do not want to be Architects, but recognized for their specialty that compliments Architecture. The definition of interior designer is so diverse and any individual can give themselves the title. It has not had a professional body that offers us the same high regard as that of the RIBA. Until recently, BIID (British Institute Interior Design) has made some headway in becoming a recognised body. The British Interior Design Association was awarded the prestigious and rare accolade of Institute status by the Minister of State in 2009. They offer their members recognition and a Code of Conduct to follow as well as much more. There long term plans are outlined in a recent idfx article. It is apparent that a recognised status should be awarded to all designers that have fulfilled a certain level of training and examinations through education or service. This would open the door for many interior designers and close the door for those individuals who turn their hand to it as they enjoy it as a hobby. Slowly but surely we will gain the same recognition as that of other professions in the Building industry and yes, we may be more pigeon-holed into either the interior designer or interior architectural designer as defined roles, but I live in hope that my title will one day carry the gravity and prestige it fully deserves. This entry was posted in Architect, architecture, BIID, clerkenwell design week, designer, interior designer, interiorarchitect, interiordesign, Professional services, RIBA. Bookmark the permalink. 4 Responses to Architect, Interior Architect, Interior Designer, Interior Decorator? The debate. Interesting article, and yes the same debate will go on and on. Personally I believe Interior ‘Designer’ has more kudos than Interior architect which to me is somewhere in between and is in some ways a term introduced in many University design courses. Time was when all you wanted to be was an Interior designer, now you can be an Interior architect without the 7 year architect’s studying. Just seems to be two different things and confusing, especially to design students choosing a prospective course. It may be that its possible to study ‘elements’ of both during the course time, but is that really enough as an introduction to professional life? And yet is it not possible to just be a ‘designer’? I have always worked in mixed discipline studios, on a variety of projects and still describe myself as a designer, certainly not a graphic designer or interior designer, I have studied as none specifically and yet work in these disciplines. The label of ‘designer’ is enough I guess, for me anyway. You could start another debate just by mentioning freelancer or design consultant..! Nicely written anyway, keep the articles coming. I love the idea of “interior architectural designer”! I’ve been looking something to describe the scope of what I can offer to the public without infringing on the legalities of the Architect. Wonderful article! Hello! This an interesting article and on a subject of much debate. I am currently entering my third year of a course titled ‘Architectural Venue Design’ which essentially covers the full architectural brief with an emphasis on venue space. Though when complete we become a designer not an architect, our course is accredited by the chartered society of designers. Having just completed my placement with an interior design company, I also feel this is the route is will take. Though I don’t see myself as an interior designer. I think that this issue is the product of a multi-disciplinary approach to design in the modern world, and interior design seems to sit as a mixed skillset of architectural interior knowledge, product design/knowledge & awareness of graphic design and skills. It must also be noted that the best practices either understand their own role, or become multi-disciplinary. The problem lies when their is no understanding or clear strategy for a particular project.